So, you’ve started your podcast—defined your topics, lined up your guests, recorded some episodes—and now you want to really make it stand out. We’re dropping advice to help you with how to podcast for brands in this stage of your podcasting journey. Check out the first episode in the series, called “How to Start Podcasting for Brands,” if you’re at the beginning stages of creating your podcast. This time, we are joined by someone with tons of broadcasting and podcasting experience: Reenita Malhotra Hora, VP of Programming & Audience Development at Otto Radio. Tweet us @sparkpr with your questions and advice about improving your own podcast! 2:11 Podcast oversaturation and thinking of your podcast as more than just a show. 9:45 Keep your content succinct and to-the-point (aka how long should my podcast be?). 19:12 Should you do video podcasts? 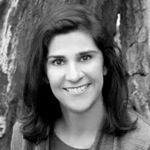 A prolific writer, broadcast journalist and Ayurveda clinician, Reenita Malhotra Hora is VP of Programming & Audience Development at Otto Radio in San Francisco. Previously she was a producer/presenter for Bloomberg Media. Previous to that she hosted RTHK Radio 3’s Money for Nothing finance program and her own award-winning story-telling show, Asian Threads which explores the untold stories of Asian cultures and communities. You can tweet her @reenymal.